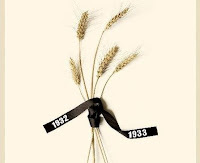 The week of November 21-27 is the fourth annual National Holodomor Awareness Week, which was first launched by the Ukrainian Canadian Congress. The goal is to annually unite the Ukrainian community and all Canadians in remembering the victims and raising awareness of this genocide the 1932-33 Ukrainian famine genocide known as Holodomor (translation: death by hunger). Jason Kenney, Canada's Minister of Citizenship, Immigration and Multiculturalism, calls on Canadians to submit nominations for the 4th annual Paul Yuzyk Award for Multiculturalism. The award pays tribute to people in Canada who have contributed to multiculturalism and the integration of new Canadians. It commemorates the legacy of the late Senator Paul Yuzyk, who worked to establish multiculturalism as a fundamental characteristic of Canadian identity. While a single winner of the award is chosen each year, their selection is from one of two categories: Outstanding Achievement or Lifetime Achievement. On Ukrainian Food Flair, Sylvia's recipe for chocolate honey cake. On Ukraine News Outlook, Keith Perron reports on ongoing gas talks with Russia, corn exports, ban on stray dog killing. On Kultural Capsule: Vasyl Pawlowsky profiles Petro Jacyk and his legacy. An interview with Doreen Pendgracs, author of her recently released book, Before You Say Yes: A Guide to the Pleasures and Pitfalls of Volunteer Boards. And as usual, a Ukrainian proverb, other items of interest, and great Ukrainian music. Vancouver podcast available now on the Playlist page at the Nash Holos website. Audio archives are updated with Sunday's Vancouver broadcast on the Nash Holos Ukrainian Roots Radio website. Ukrainian Food Flair: This is Natalia’s farewell broadcast and she leaves us with three very unusual soup recipes from the 1929 cookbook of Olha Senatovych: chocolate, wine & beer soups. 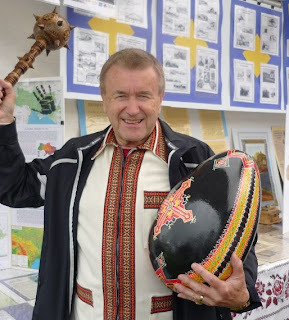 Kultural Capsule: Vasyl Pawlowsky on Ukrainian Language Day which falls on November 9th. Ukraine News Outlook: Exclusive interview with President Yanukhovych (courtesy EuroNews) on the cancellation of a meeting in Brussels to discuss Ukraine’s integration into the European Union. Great Ukrainian music by Pryvit, Zubrivka, Berkut, Paris to Kyiv, VV, Sofia Fedyna, Sashko, Ukrainian Old Timers, Prairie Crocus … and the new theme song for Euro 2012 – Let’s Play by Ruslana. The international edition of this show will air on the PCJ Radio partner stations this weekend, and on CHLY 101.7FM in Nanaimo on Wednesday Nov 16 at 2 pm. creation of Marcia Moroz, a Richmond artist. Mir Huculak is a very well-known personality in the BC Ukrainian community to which he has devoted himself for decades. Less well-known perhaps are the details and scope of his work and accomplishments over the years, in particular the past 3 or 4 years as Honorary Consul of Ukraine in Vancouver. In my 20+ years here on the west coast of Canada, I have noticed that at any festival where there is Ukrainian presence, it’s impossible to not bump into Mir! However, quite frankly I had no idea really what exactly it is that a Consul (or for that matter a Consolate) does. At one festival this past summer I had the good fortune to chat with Mir for a few minutes. He graciously agreed to come on the show to tell Nash Holos listeners a bit about his role as Honorary Consul of Ukraine in British Columbia, what function a consulate serves and some of projects he is currently working on at the consulate. Our interview aired on Nash Holos Ukrainian Roots Radio in Vancouver on AM1320 on October 23, 2011, and on the PCJ Radio Network the following weekend. You can hear the full interview here. The consulate of Ukraine for British Columbia is located at #807-938 Howe Street, Vancouver. If you’d like to meet with Mir, you can book an appointment by phone at (604) 331-2505 or by email. Greetings to the Most Reverend Bishop Chmilar, and Your Grace Bishop Andriy. Thank you Paul for those kind words. I am honoured to receive this award and such a warm welcome from the Ukrainian-Canadian community. 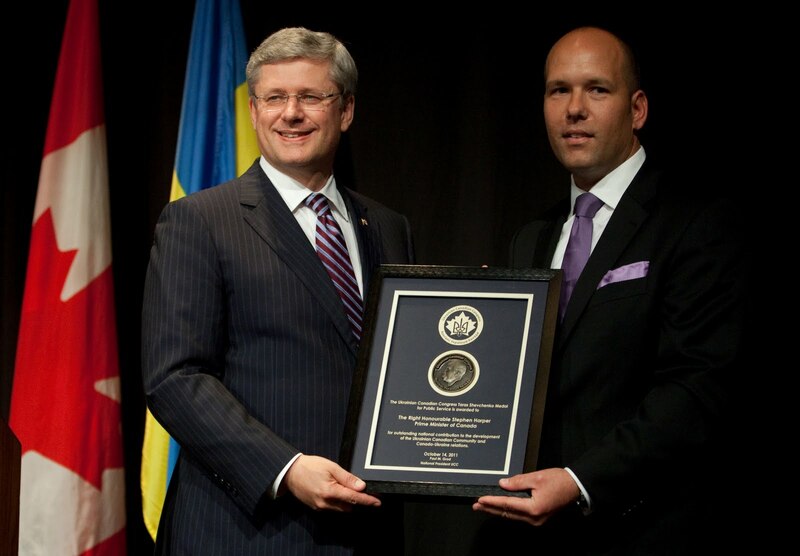 In Toronto today, Prime Minister Stephen Harper accepted the Shevchenko Medal Award, for his and the Canadian Government’s many contributions to the Ukrainian-Canadian community and the people of Ukraine. from Ukrainian Canadian Congress president Paul Grod. "I am honoured to receive this prestigious award that recognizes the significant efforts our Government has made to address the needs and interests of our vibrant Ukrainian-Canadian community and to strengthen our ties with Ukraine," said Prime Minister Harper. "Our Government will continue to acknowledge and embrace the contributions of Ukrainians, their struggles for independence and their contributions to Canadian society." While we're certainly accustomed to beets in soup, pickled, or roasted with other root vegetables, they're also excellent in salads! In addition to their wonderful taste, beets have outstanding health benefits as well including (among other things) high amounts of beta carotene, vitamin C and iron. Perhaps this is why they're the pagan symbol for love and beauty! I was introduced to this recipe some time ago by Nash Holos food columnist, the late Sylvia Molnar. I thought it was an unusual (even odd) combination for a salad, but gave it a try ... and it's become one of my favourites. It's a make-ahead, so on top of being easy to make in the first place, it's one less thing to worry about during meal prep time. In a pinch, canned beets can be used in this recipe. But I prefer using fresh beets. They have a rich, sweet earthiness that gets lost in the canning process. Beets can be prepared easily enough. Choose beets in similar size. Wash them well, wrap in foil and roast at 400ºF for about an hour, or until tender when pierced with a thin bladed knife. The skins will slip off easily once they’re cooked. Less messy than peeling them raw and boiling! One of the performers traveling across Canada this month with The Talents of Ukraine 2011 show tour is contemporary violinist Innesa Tymochko. Now a New Yorker, Innesa originally hails from Lviv, Ukraine where she studied music and launched a musical career that had her performing on stages throughout Europe. In a recent interview on Nash Holos Ukrainian Roots Radio, she revealed that she was a child prodigy at age 6. While she studied classical violin, she was also enthralled by the beauty and power of traditional Ukrainian folk music. In fact she was so drawn to it that she developed her own "fusion" style of contemporary Ukrainian folk music. With charming candour, she admits to an abiding love of Ukrainian folk music, the stage, and pleasing audiences with her music. This woman's joy of performing shines through the minute she first pulls the bow across the strings. She'll then take you on a musical journey that is guaranteed to pluck the heartstrings of any Ukrainian folk music lover. This will be Innesa's first trip to Canada and she is very excited to be part of this tour. It starts out in Vancouver on Tuesday, October 11 at the Vancouver Center for the Performing Arts. After that it's on to Vernon for a Wednesday evening performance, then to other points east, wrapping up in Montréal on October 25. If you haven't bought your tickets yet, don't wait a minute longer! This will be a show you don't want to miss. Along with Innesa, you'll be delighted with the performances of two outstanding singers from Ukraine as well as the spectacular Donbas Song and Dance Company of Ukraine. Tickets for the performances in Western Canada can be purchased from Ticketmaster, and elsewhere from the venues where the show is being held. Details at the Boen Arts website and in earlier posts (here and here). Innesa has her own website which is www.innesa.com and you can read more about her and order her CDs there. Meanwhile, I found a few YouTube videos of Innesa performing. They’ll give you an idea of her onstage charisma. But there’s nothing like the real thing! So I hope you'll join me in seeing her perform live on stage in Vancouver... or at a venue close to you. This is her performing Podolianka at her own wedding. Canada: How about meaningful action in support of Yulia Tymoshenko & democracy in Ukraine? Is it too much to ask of Canada's highest officials to give more than lip service in support of democratic reform in Ukraine? And in particular, the shameful treatment of a Ukrainian politician? Congrats to 16 UofM students for achievement awards! The Centre for Ukrainian Canadian Studies at my alma mater, the University of Manitoba, recognized 16 students for high achievement in course work for the 2010-11 academic year. An absolute joy to listen to, and talk with! If you missed the interview with Theresa Sokyrka on Nash Holos Ukrainian Roots Radio a couple of weeks ago, or would like to hear it again, you can catch it on the Interviews page at the Nash Holos website. We chatted about her music career, her Ukrainian roots, her experience on Canadian Idol, and other things. Many thanks to Theresa for the interview. I was unfortunately unable to take in her live performance in Parksville (minor surgery the day before) and hope to get a chance to chat with her in person next time she's on the Island. Live in the Lower Mainland and looking for Ukrainian activities for your kids? Musical mockument of Ukraine's "democrats"
My friend Stepan Pasicznuk (a.k.a. "Ludwig") employed his classic Brit wit in this song he wrote about the pathetic state of Ukraine's parliament. These clowns want all the perks of a civil society without putting out any effort to be civil themselves, much less act with any decorum or dignity in their role as representatives of their country and constituents. They deserve much more contempt than this gentle satire but it's nonetheless quite amusing and cutting enough. I hope your summer was as wonderful as mine! It sure went by in a flash, tho. Trips to the mainland and lots of house guests so got just a wee bit behind on website updates and here on the Nash Holos blog. If you're still with me, thank you for your patience and your loyalty! Just because you're so wonderful, I'd like to send you a token of my appreciation so please leave a comment and let me know how to reach you. Or snail mail me at the address here. Last fall Keith Perron of PCJ Radio asked me to co-host a monthly news show on the global media industry. The first 55-minute broadcast aired on November 26, 2010. From the outset Keith has been receiving requests for a weekly edition of the show. So starting Saturday July 30, 2011 a 30-minute edition of MNP will air weekly on satellite radio on the World Radio Network. In the US and Canada the show can be heard Saturdays at 2 pm PST on Sirius XM satellite radio channel 120 and in the UK on Sky Digital channel 122. More satellite information at the MNP blog or at the World Radio Network website. Podcasts available at the Media Network Plus page on the PCJ Media website. John Baird, Canada’s Foreign Affairs Minister, today announced that Troy Lulashnyk will be the new Canadian Ambassador to Ukraine. It's just occurred to me that the Nash Holos blog turned five this year. How the time flies! Both the story and the recipe are delightful. They aired on Nash Holos Ukrainian Roots Radio on June 13, 2010 and come courtesy Judy Hrynenko of Prairie Cottage Perogies in Langley. Does anybody remember ribbon perogies? It was a family favorite at my home growing up. I seemed that whenever Mom had left-over potatoes she would make this special treat as an accompaniment to pork chops. I had actually forgotten about it until a customer came into the restaurant and asked if I make ribbon pyrohy (the "proper" Ukrainian word for perogies). Wow, his question sure brought back a lot of memories! I remember coming home from school and there was Mom, rolling dough that she would cut into wide ribbons instead of the usual squares or rounds for perogies. Then she would cut the ribbons diagonally, and drop them into salted water. When they floated to the top, she scooped them out, drained them and topped them with fried onions and bacon. I thought I died and went to heaven. 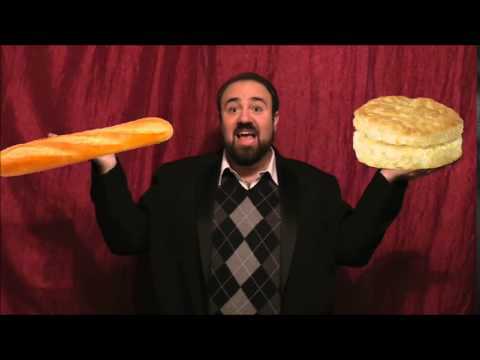 Forget the pork chops! For you, I have a time saving adaptation for busy families that love perogies. No fillings to prepare or pinching required with this quick and easy recipe! American J. Michael Willard has been named chief executive officer of the Kyiv Post, Ukraine’s oldest and top English-language newspaper and one of the country’s leading news sources. Mohammad Zahoor, owner of the Kyiv Post, made the announcement on July 18. Here’s a new opportunity for Canadians to recognize the exceptional contributions volunteers make in their communities. The Honourable Diane Finley, Minister of Human Resources and Skills Development, has announced the Prime Minister’s Volunteer Awards first call for nominations. The itinerary and other details of the Honored Academic Song and Dance Company of Ukraine "Donbas" 2011 Canadian tour are now available at the Boen Performing Arts website. Mayonnaise is as ubiquitous in Ukrainian cusine as any other European culture. It's indispensible when preparing fish, egg and salad dishes, for starters. There's nothing like homemade mayonnaise, and when you have the time I think it's worth the trouble of making. We're lucky to live in a time when we have the option of buying it when we're pressed for time. Boen Performing Arts is bringing another fabulous Ukrainian act to Canada this fall. Just got word of it and waiting to get details from Ken Kachmar of Boen Arts ... this story is so new it it wasn't even posted on their website the last time I checked! The show tour, dedicated to the 120th anniversary of Ukrainians in Canada, will feature The Honored Academic Song and Dance Company of Ukraine "Donbas." The group began its creative activity in 1937 in the city of Donetsk, Ukraine and since then has enchanted audiences with the bright spectacle of the song and dance of their native land. Many well known choreographers have worked in this Dance Company, including Pavlo Virsky, Oleksiy Homon, and Valentyn Mykhailow. Donbas has performed in Poland, Romania, Germany, Spain, France, Greece, Portugal and other European venues. During the last decade, under the direction of Valentyn Kichik and artistic direction of Oleksander Prokopenko, they performed in the USA, China, Syria and three times in Brazil. I couldn't find a website for them but did come across this delightful YouTube video of a group by that name. If it's the same group then Canadian audiences are in for a real treat! Featured soloists are violinist Innesa Tymochko and singers Svitlana Sasu and Yevhen Vaskin. Innesa Tymochko has performed at concerts, banquets, festivals, on television, radio, and in theaters throughout Europe, including Belgium, Spain, France, Netherlands, Portugal, Austria, Serbia, Czech Republic, Poland, Slovakia, Germany, Russia and Chernohirja. In 2005 she was a featured performer at the internationally acclaimed Eurovision Awards, Europe's answer to America's Grammy Awards, held in Kyiv. Yevhen Vaskin has a charming tenor voice and a varied repertoire ranging from folk songs to contemporary arrangements of original compositions. He has performed extensively on the international scene and has won several all-Ukrainian vocal competitions. Svitlana Sasu is a Ukrainian actress and singer, originally from Moldova, who currently lives and works in Kyiv. She has won many awards, including the International vocal competition "Baltic Trembita" in Tallin, Estonia (2005), the International competition "Perlyna" (Pearl) in Tyraspil, Moldova (2007), an international competition of Ukrainian songs "Hilka Kalyny" (Rasberry branch) in Rome, Italy (2010, and in 2011, she was the winner of the International singing competition of Ukrainian Romance in Lviv, Ukraine, honouring the beloved Ukrainian American singer, the late Kvitka Cisyk. More details as I get them. Stay tuned! The Board of Directors of the Ukrainian Canadian Congress has selected four individuals to receive the UCC Youth Leadership Award of Excellence. In 15 years The Kubasonics have gone where few polka bands have gone before. But then, The Kubasonics are not your average polka band. As mentioned in an earlier post, we’re presenting Nash Holos listeners and blog readers with a translation of the cookbook of one Olha Senatovych of Lviv, Ukraine, dating back to 1929. It's really more of a journal filled with information and cooking tips that Olha gathered and compiled, perhaps with the intention of passing them on to her descendants. The recipes she included are both familiar and exotic to modern cooks who know all about Ukrainian cuisine. Olha's original “cookbook” is hand-written, in Galician Ukrainian. (Galicia is a province in western Ukraine.) 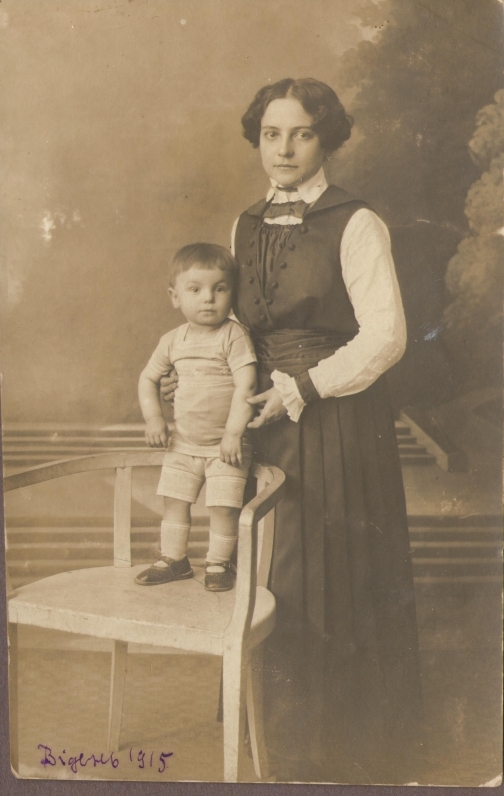 Her grandson in Lviv has kindly provided us with a digitized version — also in Ukrainian. It all started out as a translation project for a writer’s group that Natalia Buchok (fellow contributor to Kobzar’s Children) and I belong to. A few of the members who are fluent in Ukrainian had a preliminary look-see and decided that it was definitely something worth translating and sharing with the world. Natalka was fascinated with the book and , in spite of an already insane work and home schedule, decided to take on the translation. Meanwhile, it occured to me that such an ongoing project would be perfect for Ukrainian Food Flair. Mindful of her crazy schedule, I nonetheless asked Natalka (nothing ventured, nothing gained, eh?) if she would be interested in sharing her translated treasured with Nash Holos listeners. The "radio bug" bit down hard, and she agreed to host Ukrainian Food Flair on a bi-weekly basis. Admittedly, it was a huge undertaking, and neither of us really had any idea how Natalia was going to find the time to do both the translation and the radio gig. Enter another member of our writer’s group to the rescue. Mila Komarnisky, a native Ukrainian speaker and first-time published author, is our Angel of Mercy. With her novel, Wretched Land, finally completed and now in print, Mila was ready for another project and offered to help us out. This frees Natalia up to focus on the radio presentation of the recipes as well as the valuable information and fascinating historical and personal anecdotes in Olha's cookbook. Many thanks to both Natalka and Mila for undertaking this fascinating project. I’m sure you’ll find our journey of Ukrainian culinary discoveries every bit as enjoyable as we do! So stay tuned as Natalka presents Olha's recipes and Mila's low-cal adaptations on Ukrainian Food Flair every other week, and posts them here on the Nash Holos blog! Ukraine's answer to Benny Hill? In the 1930s the Nazis devised a scheme to create a master race that is purely Aryan. Because to their warped minds Aryans were supposedly superior to all other human beings and thereby entitled to rule the world. Only one problem with that plan. Not enough blond blue-eyed Aryan "pure bloods" in Germany to grow their gene pool. Slavs, although considered untermenschen (sub-human) by the Nazis, were nonetheless one rung up from the Jews on the Nazis' hierarchy of humans. While the Nazis aimed to annihilate every single Jew on the face of the earth, some Slavs were to be spared, as the Third Reich needed slaves to do the manual labour. As WWII got underway and the Nazis invaded the Slavic lands to the east, they realized they had a "solution" to their master race problem. Little is known about this nefarious "solution" known as the Lebensborn Program, and less yet is known about the Ukrainians and other Slavs who fell victim to it. When popular children's author Marsha Forchuk Skrypuch found she had a personal connection to it, she resolved to write about it. The result was her mid-grade novel, Stolen Child, which was recently given a Crystal Kite Award by the Society of Children's Book Writers and Illustrators. (It was also shortlisted for the Canadian Library Association's children's book of the year award, Saskatchewan's Diamond Willow Award and the Ontario Library Association's Golden Oak Book Award. It also was named an Ontario Library Association best bet, one of the top juvenile novels of 2010, and year's best by Resource Links, a national journal that reviews resources for children and young adults. Stolen Child is the story of 12-year old Nadia, a Ukrainian child who had been kidnapped for her blond, blue-eyed Aryan looks by the Nazis in their frenzy to build a master race. After the war she finds herself in Brantford, Ontario where she slowly unravels her past life as a Lebensborn. Stolen Child is published by Scholastic Canada and is available from the publisher as well as from Amazon and other major booksellers. Marsha Skrypuch is available for school readings and loves to talk about her writing. She has been interviewed on Nash Holos several times, most recently (May 29, 2011) to talk about Stolen Child. More information about Marsha's books can be found at her website. You can follow her on Facebook and Twitter, as well as on her blog . Freedom conquers all things but slavery destroys the mind. Вільність здобуває, а неволя і розум ламає. Calling all Ukrainian Canadian youth! The Ukrainian Canadian Congress wants to hear from young adults between the ages of 16-35. To that end the Ukrainian Canadian Congress National Youth Advisory Council (UCC-NYAC) has launched a youth survey project entitled "An Investigation of Youth Involvement in the Ukrainian Canadian Community." The UCC-NYAC consists completely of young adults. It was created at the XXIII UCC Triennial Congress in order to reengage the Ukrainian Canadian community's youth. The major purpose of this committee is to give youth a greater voice in the affairs of the UCC, to gather information about youth involvement in the community and to advise the UCC on how to engage youth in ongoing projects. Understanding the role of Ukrainian language skills in the 21st century for Ukrainian Canadian youth. This short survey, available both online and in paper format, will be distributed at Ukrainian festivals, community events and through social media. The survey will be available from June 2011 until January 2012. It is anticipated that a final report will be published in mid-2012. Ultimately, these survey results will become a valuable source of information for all ethno-cultural community organizations looking to better engage their youth and foster the development of future community leaders. Hrim is a Ukrainian band based out of New York City which just released their self-titled debut album in May 2011. Since its inception in 2005, Hrim has performed at festivals, weddings, zabavas, and other functions throughout North America in cities including New York, Philadelphia, Boston, Chicago, Buffalo, Washington D.C., Toronto, Montreal, and many more. The band recently performed at the Hopak in the Park festival in Melbourne, Australia along with a sold-out zabava there. The band continues to perform non-stop and hopes to explore other areas of the Ukrainian diaspora with their music. Their sound is a mix of traditional music styles – polkas, tangos, and waltzes fused with more modern rock, ska, and punk styles. It is a distinctly Ukrainian sound, yet absolutely unique to the group. Hrim consists of Roman Palylyk (bass and vocals), Peter Drobenko (accordion), Will Wyatt (guitar), Peter Kolinsky (vocals), and John Drobenko (drums). The band was fortunate to collaborate with other talented musicians on the album including Slau Halatyn (backing vocals and guitar), Andrij Stasiw (piano and composer), and Olenka Dolak (cello). You can find out more about Hrim at their MySpace page.You can also follow them on Twitter and Facebook. To purchase the album, visit their CD Baby page where you can either download mp3s or buy a physical CD. Hrim will be releasing the album on iTunes as well. You’ll be able to hear Hrim on Nash Holos Ukrainian Roots Radio in the coming weeks. Meanwhile, here’s a sneak preview from a couple of years ago at the Toronto Ukrainian Festival. If you know of a Ukrainian Canadian pioneer deserving of recognition, the organizers of Alberta’s Centenary Pioneer Recognition Program need to hear from you! Nor do they necessarily have to be homesteaders. They can be anyone of Ukrainian ancestry who took up residence in east central Alberta in 1911 or earlier. This includes townspeople, policemen, priests, nuns, teachers. There’s only a couple of weeks left, so if you have someone in mind, don’t delay! The deadline date for 2011’s nominations is June 30. For more information, the good folks at the Centenary Pioneer Recognition Program have prepared a document about their program and also some backgrounder information on how it all started. Victoria`s Heritage DanceFest will be celebrating its 5th anniversay, in no small part thanks to Veselka Ukrainian Dancers. In the wake of the cancellation of the hugely popular FolkFest, Veselka (which means `rainbow`) realized that the city`s diverse ethnic cultural ensembles were in dire need of a public venue to strut their stuff. So they spearheaded the now equally popular Heritage DanceFest which this year takes place Saturday, June 18, 2011 at Cameron Bandshell, Beacon Hill Park. Take in continuous dance performances by dancers from the Chinese, Norwegian, Punjabi, Ukrainian, Irish communities, and more. Welcome Ceremony at 12 noon features a First Nations blessing, VIP speakers, and a traditional Welcome dance by the Veselka Ukrainian Dancers. The best part is that admission to this fabulous family event is absolutely free! A proper Ukrainian borsch contains copious amounts of dill. Combining dill with butter and/or cream results in a most heavenly sauce for potatoes, vegetables, chicken, and/or egg dishes. 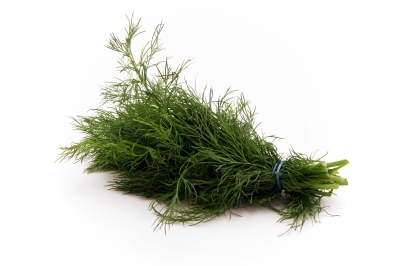 It's best fresh, of course, although in a pinch you can use dried dillweed or dill seeds. I've been noticing it more often in supermarkets lately, so if you chop it up and freeze it you can enjoy it fresh year round. Dill has been around since ancient times, and has some amazing medicinal qualities. During the Medieval period, Europeans used dill to create love potions (!) and also to protect against witchcraft. People would carry a bag of dried dill over the heart as protection against hexes. In today's world, dill protects against free radicals and carcinogens, and rivals garlic for anti-bacterial properties. It is a good source of dietary fibre, as well as minerals such as calcium, manganese, iron and magnesium. So don't scimp on the dill! It's a delicious way to eat healthy. Here's a quick and easy alternative to garlic bread that Sylvia shared recently on Ukrainian Food Flair on Nash Holos Ukrainian Roots Radio. Cut the loaf in half lengthwise. Mix dill with soft butter and spread generously on both cut sides. Put both sides together and wrap in foil. Bake at 400ºF for about 15 minutes. Serve warm. This is a great make-ahead that can be frozen. Shavu'ot (Ukrainian: Shviyes,) commonly known as the Festival of Weeks, is the second of the three major festivals with both religious, historical and agricultural significance for Jews. If you missed the Vancouver broadcast, the podcast is now available at the Nash Holos website. ﻿Michael Minsky was a brilliant opera star who sang in virtually every major concert hall in the United States. ﻿﻿﻿﻿﻿﻿﻿﻿﻿﻿﻿﻿﻿Born in Russia in 1918, Minsky studied music at the University of Kazan and the Moscow conservatory. When WWII broke out, however, he was drafted into the Red Army and was soon captured by the Nazis. He ended up in a slave labour camp and then in several “displaced persons” (refugee) camps after the war. Although ethnically Russian, in the camps he was surrounded by Ukrainians and soon fell in love with the people, the music and the culture. He joined several choirs, including the Don Cossack Choir and the Ukrainian Bandurist Chorus. From 1948 to 1984 Minsky sang with such Ukrainian musical luminaries as Ivan Zadorozny, Volodymyr Bozyk and Hryhory Kytasty. In 1949 Minsky and the Bandurist Chorus traveled to America, where they were received at the White House and performed many concerts. In 1950 Minsky made his first recording and went on to record another 20 with various Ukrainian artists, including songs of the Ukrainian Legion of World War I and the Ukrainian Underground Army. In 1953 he was granted American citizenship. Minsky was very active in the Ukrainian community in the United States and Canada. In 1971 the Ukrainian community in Minneapolis honoured Minsky with a gala concert. Later that year he went on a concert tour to Ukrainian centers in Great Britain, then in 1972 to Australia. On his return to Europe he produced a series of records with the Vienna Symphony Orchestra. By the mid 1960s, Minsky was spending most of his time in Europe. In 1978, he settled permanently in Zwolle, the Netherlands. Holland was where, in 1967, Minsky met his wife, Irina Jacoba. Irina had no inkling of the prolific extent of her husband’s Ukrainian musical career ... until after his death in 1988. 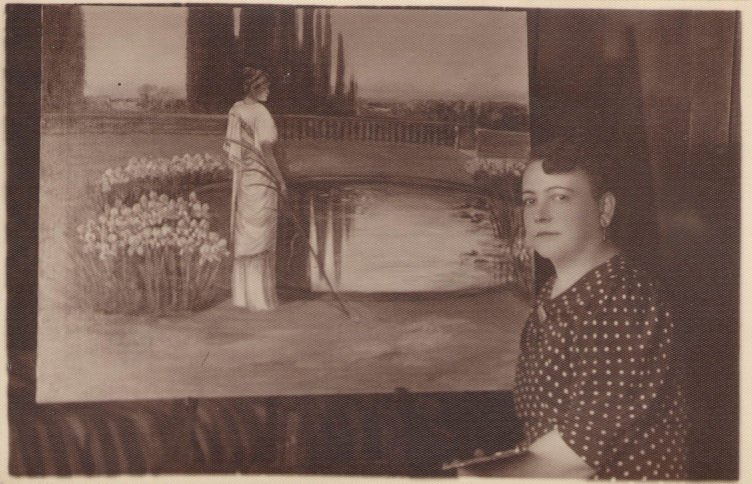 Astounded at the size of his repertoire, and realizing its historic significance, she took upon herself the gargantuan task of compiling and restoring the entire collection. Somehow I ended up on Irina's bulk email list, and kept getting emails from her asking for help with the project. Intrigued, I emailed her back a few times and finally connected with her by skype to get some details on the project and her progress so far. Гей, пластуни! Пісня закарпатських пластунів. Слова: С. Черкасенко. Музика – Я. Ярославенко М. Фоменко. Сольо: М. Мінський. М. Фоменко: ф-но. Hey, boy scouts! Song of the transcarpathian boy scouts. Lyrics: S. Cherkasenko. Music: Ia. Iaroslavenko/M. Fomenko. M. Minsky, baritone. M. Fomenko, piano. By the Camp-Fire. Ukrainian scout song. Lyrics: Iuri Starosolsky. Music: Iuri Piasetsky, M. Fomenko. M. Minsky, baritone. M. Fomenko, piano. Іди від мене. Leave me. Гей, маршують вже повстанці. Marching freedom fighters. Музика: К. Стеценко. Сольо: М. Мінський. Music: K. Stetsenko. Soloist: M. Minsky. M. Minsky sings in Ukrainian. Хор Трембіта. Дириґент – Кирило Цепенда. Music: A. Hnatyshyn. Soloists: Minsky and Siletsky. Ukrainian choir Trembita. Kyryko Tsependa, conductor. A day, or two – arioso from the opera Karmeliuk. Music: V. Kostenko. Two record album. Bohdan Piurko, piano. Irina is appealing to the public to help her complete this collection of Michael Minsky’s restored Ukrainian works. She’s hoping that whoever might have these items would be willing to donate (or even sell) them to her. If you or someone you know has any of them, please contact Irina by email to make arrangements. Can't help wondering how Simon Cowell would react but the Ozzies certainly appreciate good music and good dancing! This Australian bunch of Ukrainian dancers is fantastic. Оn Sunday May 22 Ukrainian Food Flair co-host, Natalia Buchok of Oakville, Ontario made her radio debut on Nash Holos Ukrainian Roots Radio! A writer who speaks fluent Ukrainian, Natalia has embarked on an ambitious journey, taking Nash Holos listeners on a delicious trip down memory lane as she explores a fascinating piece of Ukrainian culinary history. The roadmap for this trip comes via the Ukrainian to English translation project of a cookbook dating back to 1929. Entitled Універсальна Галицька Кухня (Universal'na Halytskia Kukhnia), it tramslates into English as Galician Kitchen. We came across this book through Oleh Iwanusiw, a member of an online writing group that Natalia and I belong to. Oleh has an acquaintance in Lviv, Ivan Lutchuk, who happens to be the grandson of Olha Senatovych, the book's author. Ivan also happens to actually have in his possession the very hand-written cookbook his grandmother compiled! Written in the beautiful Galician Ukrainian vernacular of that time, it has traditional recipes for everything from fish dishes to tortes, and even instructions on how to keep your kitchen vermin-free! Having learned about this incredible treasure, our writer's group decided it was just too wonderful not to share. So with Oleh's and Ivan's permission, Natalka is doing the Ukrainian to English translation, and in the process sharing her culinary discoveries with Nash Holos listeners. She lived for a while in Vienna, and was an artist at a time when women were just being officially admitted into the great art schools of the West, such as the Academy Julian and the Ecole des Beaux Arts in France. And, based on her book, she was no doubt an adventurous cook and highly competent homemaker! While the 1920s were a time of political instability and upheaval in western Ukraine, they were nonetheless a heady time for kitchens. New inventions and innovations in kitchen design swept Europe (particularly Germany and Austria) and soon made their way to North America. Presumably Olha had a modern kitchen. It was probably painted Venetian green or Pale Organza. She likely had built in wood cabinets that sat flat on the floor instead of on legs, with a work counter, aluminum drawers with oak bins for storing flour (oak repels meal-worms), and a garbage drawer for scraps. For appliances, she might have had a Kitchen Aid mixer (they were around by then) and a gas burning stove, although probably without a thermostat on the oven (she doesn't give any temperatures in her recipes). Although refrigerators had already been invented, Olha likely was still using an icebox. The recipes in her cookbook are quite sophisticated. Many clearly reflect the influence of Vienna, the capital of the Austro Hungarian Empire which had ruled western Ukraine prior to the end of WWI. The Austrian nobility routinely brought in French and Italian chefs to cook for their banquets and celebrations. So the luxury and festive style of the dishes prepared by these foreign chefs soon began to influence Ukrainian dishes - modern variations of which are prepared in Ukrainian homes today. Natalia will be sharing many of those recipes on Ukrainian Food Flair every other Sunday on Nash Holos Ukrainian Roots Radio. So make sure to join her on her exciting culinary journey! It's been a very exciting month with some exciting developments here at Nash Holos Ukrainian Roots Radio. Most recent is the return of Ukrainian Food Flair. This time we have two hosts... long-time Nash Holos personality Sylvia Pidraziuk Molnar of Vancouver, and radio newcomer Natalia Buchok of Oakville, Ontario. The others will be unfolding in the weeks and months ahead. So I hope you'll forgive the still-sporadic blogging and web updating. I am hoping to return to a more regular schedule soon! In the meantime, however, the audio archives have been updated on the Nash Holos website. Here's what aired on this past Sunday's show. Buckwheat is very popular in Ukrainian cuisine as well as in Japanese, Jewish and others, but not particularly in North America, where it’s used mainly as flour for pancakes. This “grain” (which is technically classified a fruit) is chock full of goodness and very low in calories. It’s an excellent source of protein, trace minerals, fiber, amino acids, and vitamins, including the entire B spectrum. Ukrainian Food Flair is back on Nash Holos! Vancouver's well-known and beloved foodie Sylvia Pidraziuk Molnar has returned to the airwaves! Her first return feature aired on the May 8, 2011 edition of Nash Holos Ukrainian Roots Radio. Sylvia will be alternating weeks with Natalia Buchok, who made her radio debut on Sunday, May 22, 2011. The Toronto Star calls them a National Treasure – Canada’s professional Ukrainian Dance Company celebrates 50 years of dance tradition in a whirlwind of colour, power and grace. Win a new radio and hear radio programs from around the world! My colleague and syndication partner Keith Perron of PCJ Media has just reviewed the brand new Sangean shortwave radio. And some lucky listener will win one! On May 21 and 22 Victoria's Veselka Ukrainian Dancers will host two events to celebrate their 40th anniversary. There's something for everyone at the annual BC Ukrainian Cultural Festival ... non-stop dance competitions by dancers from all over British Columbia and the Pacific Northwest, fabulous Ukrainian cuisine (usually provided by Judy Hrynenko of Prairie Cottage Perogies), live music by roving musicians, and all kinds of Ukrainian arts, crafts, and cultural displays. So the 25th anniversary of the Chernobyl nuclear disaster has passed. And, par for the course, the world`s attention is waning. Having made the inevitable comparisons to the nuclear disaster in Fukishima, Japan a mere two months ago, the international media has moved on to sensationalise more recent disasters and debacles. Fair enough. It`s their job, and just common practice. Last Sunday's edition of Nash Holos Ukrainian Roots Radio featured all things Easter. On April 26, 1986, arguably the world's worst nuclear accident took place in Chernobyl (Chornobyl in Ukrainian), about an hour’s drive from Kyiv, Ukraine’s capital. As it happened behind the Iron Curtain, the Chernobyl disaster occurred under a veil of secrecy. Soviet authorities at first refused to admit anything out of the ordinary had happened at the Chernobyl nuclear power plant, even after radioactive fallout was detected in Sweden and elsewhere in Scandinavia. I recall that time well. I was in university, a newly “born-again Ukrainian” learning about Ukrainian history, and life and politics behind the Iron Curtain. It was, however, the first time I heard of Chernobyl… along with the rest of the world. I was saddened to read this article today announcing the death of Ukrainian Canadian TV personality chef Ken Kostick at age 58. He died Thursday at St. Michael’s Hospital in Toronto from complications arising after a battle with acute pancreatitis this past February. Origins of the word "Easter"
When I decided to jump back on the blogging bandwagon I did so thinking that Ukrainian Easter would be a perfect topic to get started again. For Ukrainians, Easter is the major religious holiday, whether they belong to the Ukrainian Catholic church, the Ukrainian Orthodox church, or any other Christian denomination. Easter is the oldest Christian holiday and the most important day of the church year. Below you will find a list of services in Ukrainian Catholic and Ukrainian Orthodox churches in BC leading up to and including Easter Sunday. I compiled this list as a courtesy for anyone who is not a member of a Ukrainian Catholic church or a Ukrainian Orthodox Church in BC, for whatever reason, but would like to attend Easter services nonetheless. Several years ago, as a long– time lapsed Ukrainian Catholic, I felt a strong urge one Good Friday morning to return to church. That was in the days before churches had websites, and I couldn’t reach anyone on the phone to find out the times. So I ended up going to a nearby Protestant church. Which was fine but, it just wasn’t mine. Today, with the internet, it’s easier to find information, of course. Still, it can sometimes be like trying to find a needle in a haystack! The schedule timeline covers the Paschal Triduum (also called the Holy Triduum or Easter Triduum) which commemorates the events surrounding the death and resurrection of Jesus Christ. The Paschal Triduum starts on the evening of Holy Thursday (the last day of Lent) and ends the evening of Easter Sunday. Happily, this year Easter falls on the same day on the liturgical calendars of both churches … making the task of compiling this list considerably easier! I hope it will come in handy if you're needing a quick guide to Easter services at a Ukrainian Catholic or Ukrainian Orthodox church in your area. Carlin St. & 3rd Ave.
8 pm – Polunoshnytsia (nocturnal prayer). 8 am – Paschal Divine Liturgy. Blessing of Paschal baskets following the divine liturgy.